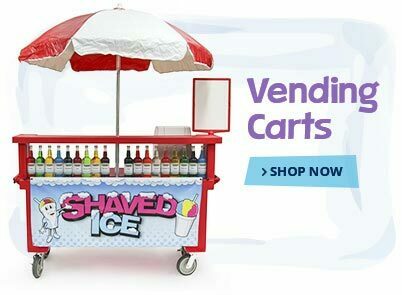 This shaved ice starter package includes all the bells and whistles you need to launch a well-structured shaved ice business from the ground up. 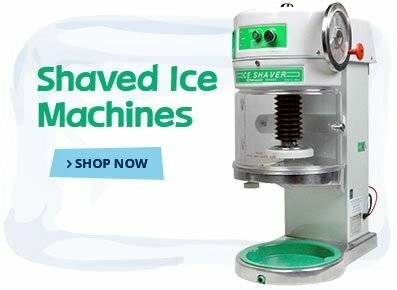 This starter shaved ice package comes with the Hatsuyuki Cubed Ice Shaved Ice Shaver HC-8E, a high-capacity cube ice shaver with a 6-pound per minute ice-shaving capacity, or your choice of one of our alternate ice shavers. 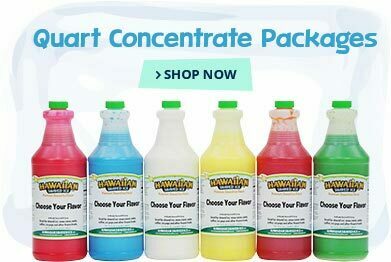 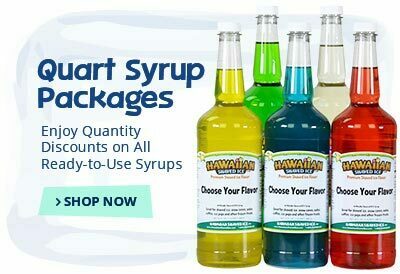 It also includes 20 gallons and 12 quarts of your choice of shaved ice flavor concentrate, plus mixing equipment and more. 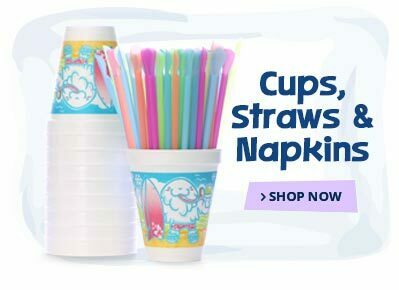 This package does not include cups, straws, napkins and other paper goods, however, we do offer this same package with those items included! 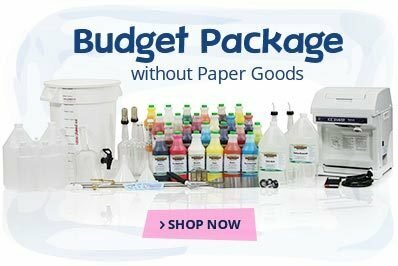 We offer these great packages as a convenience to you when choosing which items you need to start your business. 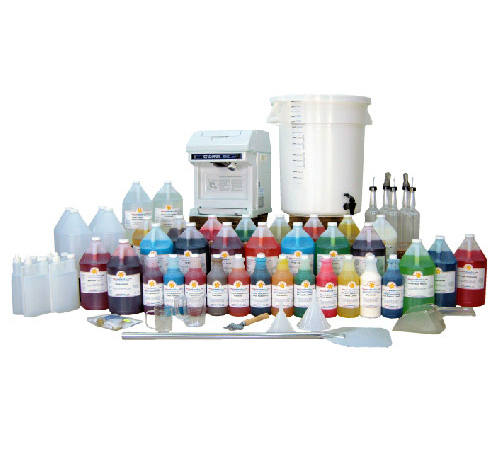 We can always customize a package for you - just give us a call and we'd be glad to develop on to meet your needs.